Long time unheard of, Coolpad electronics manufacturer from China again presents its latest mobile phone line called Coolpad Cool Play 7. Starting in China, Cool Play 7 is present aiming game lovers as its market segment. What is on offer from this latest Coolpad phone? Here's the review. 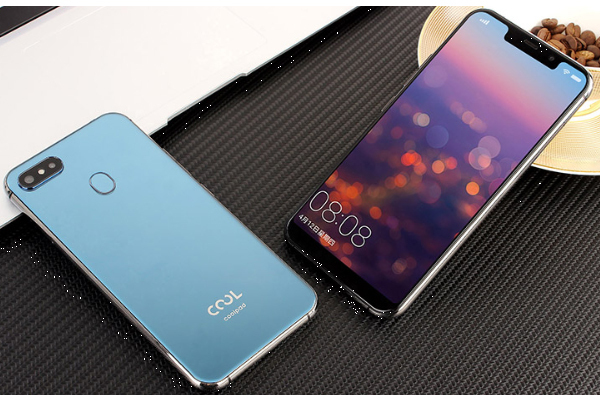 Coolpad Cool Play 7 is equipped with touch screen panel measuring 5.85 inches with HD + resolution and 19: 9 screen ratio. The embedded screen also inserted bangs to enhance the appearance. Not only that, this device also has a ratio of the screen to the body that reaches 90% which makes it look charming and almost without the bezel. Not only pull from the side of the screen is embedded, this device is also equipped with a layer of glass on the back with an additional layer of oleophobic coating and a frame made of zinc alloy. Targeting users who love to play games, unfortunately this device is only equipped with a medioker class processor. Cool Play 7 is only equipped with chipset made by Mediatek MT6750 with clockspeed 1.5GHz with choice of 3GB and 4GB RAM. While for internal memory is 32GB and 64GB, there is also a microSD card slot to add data storage device. The photography facility embedded in this device is a dual camera on the back with 13MP + 13MP configuration. Meanwhile, to support the action itself, has embedded 8 megapixel front camera with additional beauty features. Unlike other phones that remove the fingerprint sensor, Cool Play 7 still pinned the fingerprint sensor on the back. More apiknya, this device is also supported by facial sensor sensor feature that is claimed to be able to detect 5 faces at the same time. Another plus is the device is also equipped with artificial intelligence features based on voice commands. With this feature, users can open the app, make phone calls and activity reminders by voice only. Other features that are also present in this device is access 4G LTE network, Bluetooht, WiFi, FM Radio and battery capacity of 2800 mAh. Will be available in China from 2 August tomorrow, Cool Play 7 will come with a choice of black, blue and white. For the price, Coolpad Cool Play 7 with 3GB RAM with 32GB internal memory sold for $ 117 while for the 4GB RAM version with 64GB internal memory sold for $ 132. 0 Response to "Coolpad Cool Play 7, Smartphone for Game Lovers"